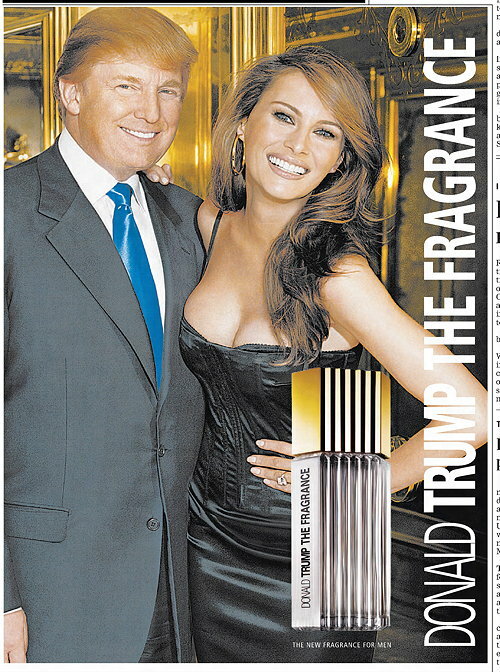 In 2004, Donald Trump lent his name to a perfume — DONALD TRUMP: THE FRAGRANCE. Now that he's going to be President, that means he's the first U.S. President to have a perfume named after him. 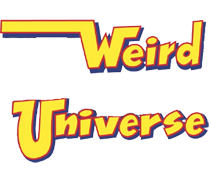 The stuff is no longer for sale, but if you really want some, there's plenty of it to be found on eBay. The marketing literature that came with it promoted it as, " Luxurious. Confident. Persuasive. The compelling new scent for men. Power attracts." The scent that emerges is floral and fruity and green — as in plant matter — not money-money-money, as the opening to "The Apprentice" theme song goes. Even Trump describes it as such: "It's a rose flavor; it's an orange flavor; it's lemony... What I did was I really relied on the great people of Estee Lauder. You know, so many companies wanted to do it. They gave me 30 different scents, all of which they felt were good, and I chose the one I liked." 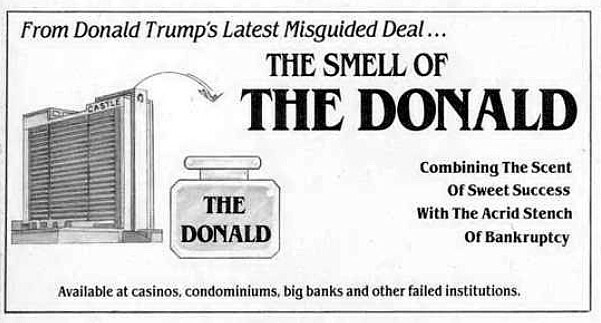 In a case of satirical prophecy, back in 1992 MAD magazine had imagined a Trump fragrance line. 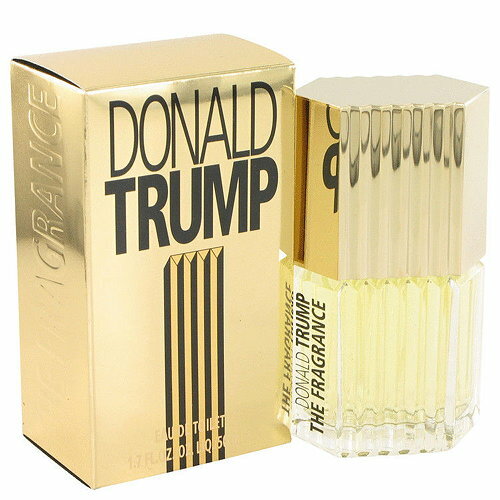 They called it "The Smell of The Donald." Cologne, not perfume. Cologne is for men, perfume is for women. Nonny Mouse -- I wondered about that as I was writing the post, but some googling led me to believe that the difference between cologne and perfume is actually the concentration of the essence, not the gender of the wearer. And various sites said it was correct to refer to both men's and women's fragrances as perfumes. Also, the mimifroufrou site I linked to above (which is a blog entirely about fragrances) referred to Trump's fragrance as a perfume, so I followed his lead, figuring that a fragrance specialist should know what he was talking about. Of course, I could be entirely wrong. Often am. "A favorite of the father of our country, George Washington." This isn't the only time Mad Magazine has been "prophetic". In Mad #68, January 1962, Mad featured the supposed contents of Senator Barry Goldwater's wallet, including an estimate, from a contraction company, of the cost of building a tall wall around the continental US, with options for Alaska and Hawaii. This was well before Goldwater ran for president, but he was, in late 1961 when this was published, considered the GOP's leading candidate for '64. A blocked toilet would be far more representative. Come on folks. Lets just bottle the septic tank & sell it off at ludicrous prices.